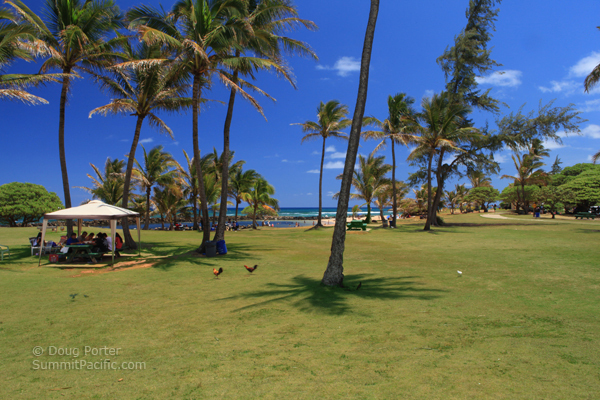 Lydgate Beach Park is one of the most popular beaches on the east side of Kauai and offers something for everyone, especially families. Its main attractions include two ocean beach swimming areas enclosed by man-made rock walls that ensure protected swimming and wading for children; the 16,000 square foot Kamalani Playground; grass fields to fly kites and throw Frisbees; picnic areas, a 2.5 mile bike path and more. Lydgate Park was named after John Mortimer Lydgate a community builder and minister in the Congregational Church who came to Kauai in 1896. A grandson, also named John Lydgate is often seen tidying up the beach on Saturdays and giving history lectures several mornings a week in Kapa'a at the Ship Store Gallery. Kauai Vacation Rentals near Lydgate include Islander on the Beach, Waipouli Beach Resort, and Kauai Beach Resort. 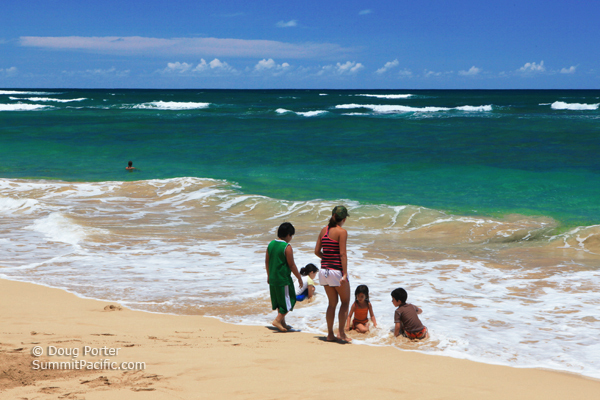 Click to explore other spectacular Kauai Beaches.